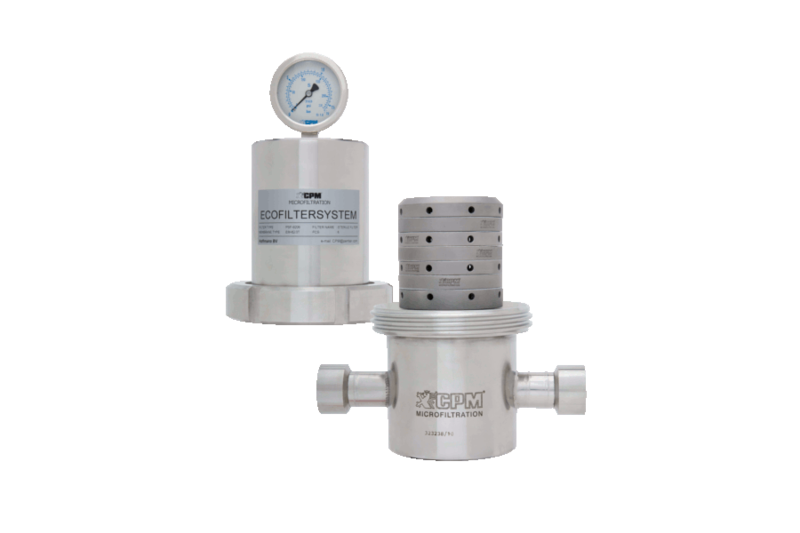 The Haffmans Aeration and Gas Dosing CPM Gazijector is a unique device that combines the functions of sterile gas filtration, a check valve and air atomizer in one unit. This provides advantages over conventional gas injectors typically used in brewing and other fermentation industries. The CPM Gazijector provides 100 percent contamination-free filtration of air, compressed air, carbon dioxide (CO2), and other gases when the gas passes through the fumigation chamber and enters the product line. The fumigation chamber is equipped with the patented, flexible Ecofilter® element, consisting of a filter membrane in between segmented stainless steel disks. Made of high-quality PTFE, the filter membrane is permanently hydrophobic, and rejects bacteria transfer and growth. The membrane has an absolute retention rate of 0.2 μm. The Gazijector’s innovative design allows for CIP during the cleaning of the product line and in-line steam sterilization from the gas line side. 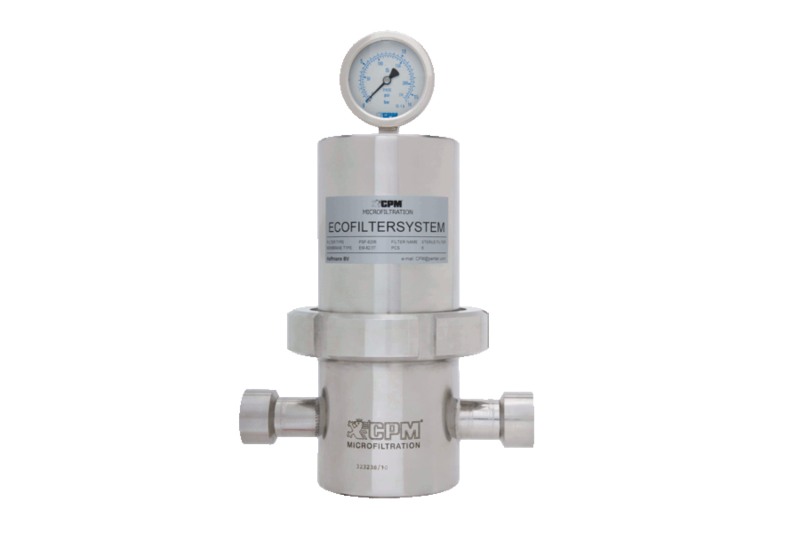 The filter membrane has a high water intrusion pressure of 2.75 bar (39.9 psi). 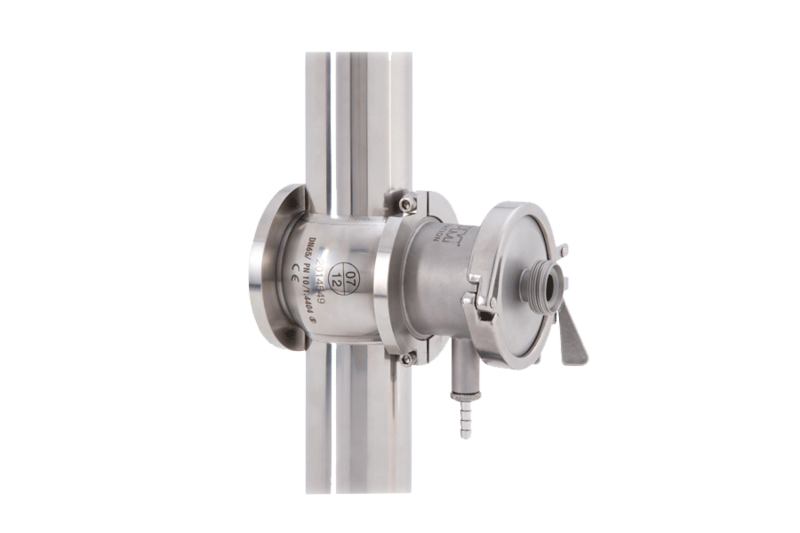 This functions as a check valve, not allowing any product to enter the gas line, even if the product line’s pressure is up to 2.75 bar higher than the pressure in the gas line. Used in brewing and fermentation processes. Looking for operating instructions, installation manual, spare part list etc.? Available in a variety of pore sizes, the steam filter provides 100 percent particle free air and gas filtration. 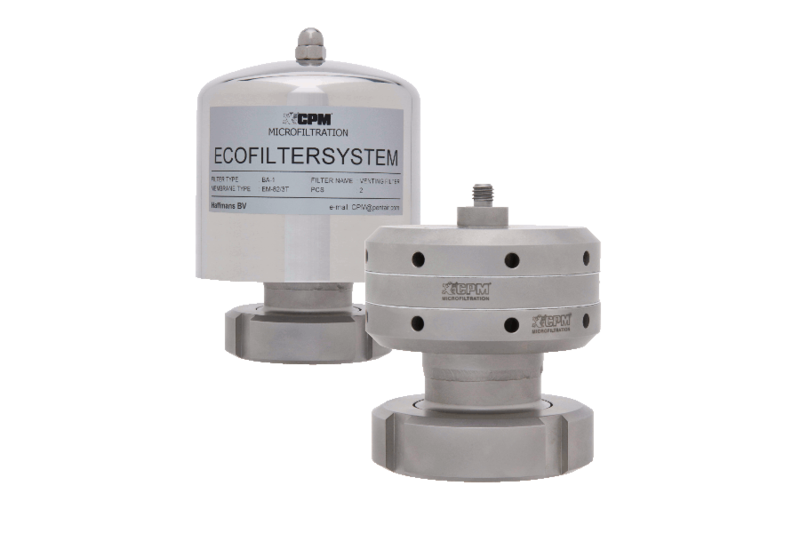 Filters with woven stainless steel threads assuring 100% particle-free filtration for gases. 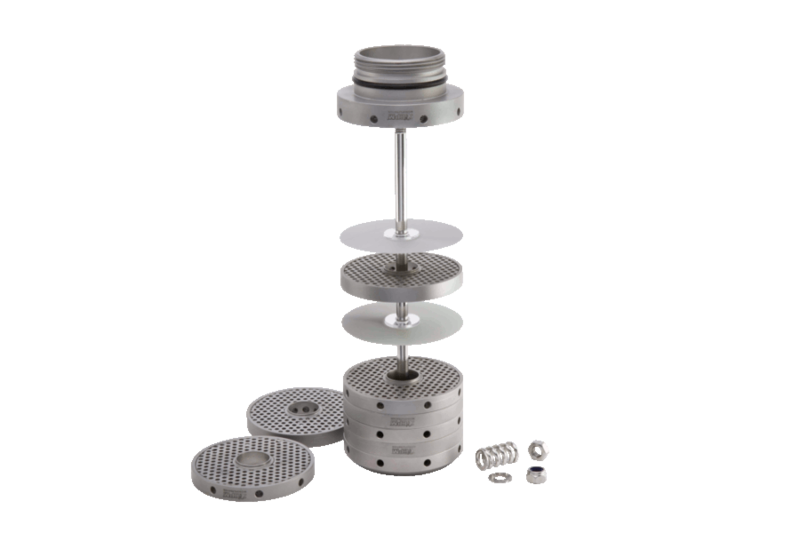 The filters featuring a revolutionary design that provides advantages over conventional filter cartridges for food, beverage, and other process applications. Filters with revolutionary design providing advantages over conventional filter cartridges, 100% contamination-free air and gas filtration.